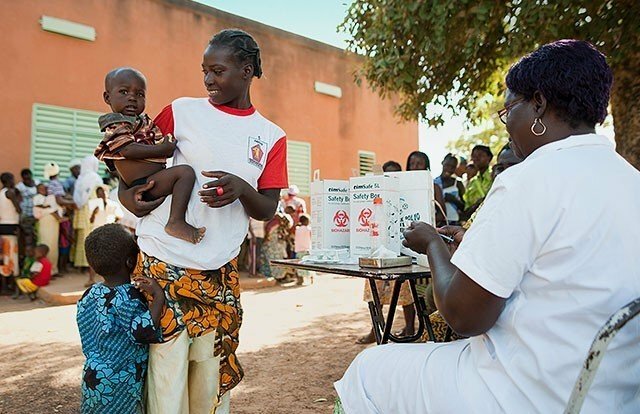 QIAGEN Global Health is working with PATH, an international non-profit organization focused on saving lives and improving health in low-resource regions, in launching the Scale-Up initiative to reduce cervical cancer through improved and expanded screening using the careHPV Test. Developed by QIAGEN with support from PATH and the Bill and Melinda Gates Foundation, careHPV is the first DNA test designed for HPV screening in parts of the world with limited resources – it does not require electricity, running water or a modern laboratory infrastructure. The Scale-Up project has begun implementing in Central America. A PATH team recently completed a trip to Guatemala and Nicaragua to organize the necessary healthcare systems for the screening program. In the first three years of Scale-Up, PATH will procure 330,000 careHPV tests directly from QIAGEN, and the countries involved will also procure tests to expand the scope of screening. As a direct result of the Scale-Up initiative, hundreds of thousands of women will be screened and treated for HPV infection, greatly reducing their risk of developing cervical cancer. In addition, PATH and the local authorities will put in place guidelines, skills and strategies to expand screening and treatment to millions of additional women in subsequent years. Following a successful start in is Central America, the Scale Up program is expected to expand to other parts of the world. Cervical cancer kills about 266,000 women every year, with more than 85% of the deaths in low-resource countries. Screening with the careHPV Test is more sensitive than visual inspection with acetic acid (VIA) or the Pap smear. ThecareHPV Test has been launched in a number of countries and is now commercially available in some regions of the world. 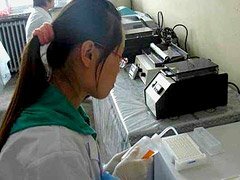 A laboratory technician in Shanxi, China, works with the careHPV™ test. Photo: Cancer Institute Chinese Academy of Medical Sciences.